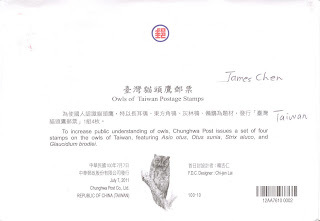 Chunghwa Post issued a set of 4 postage stamps on July 7, 2011 stamps on the owls of Taiwan. 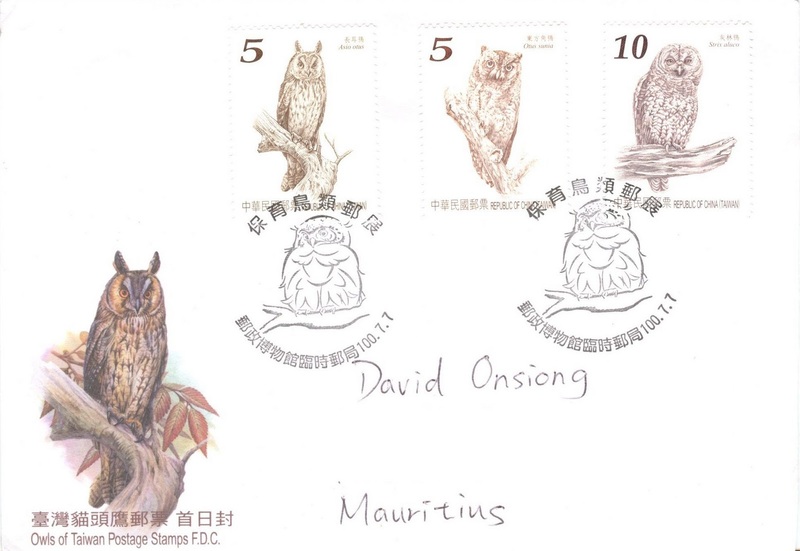 Owls are known as "cat head hawks" in Chinese because their flat faces give them a catlike appearance. Most owls are nocturnal and prey on insects, small birds and mammals. There are currently 12 species of owls in Taiwan, all of which are listed as protected species. 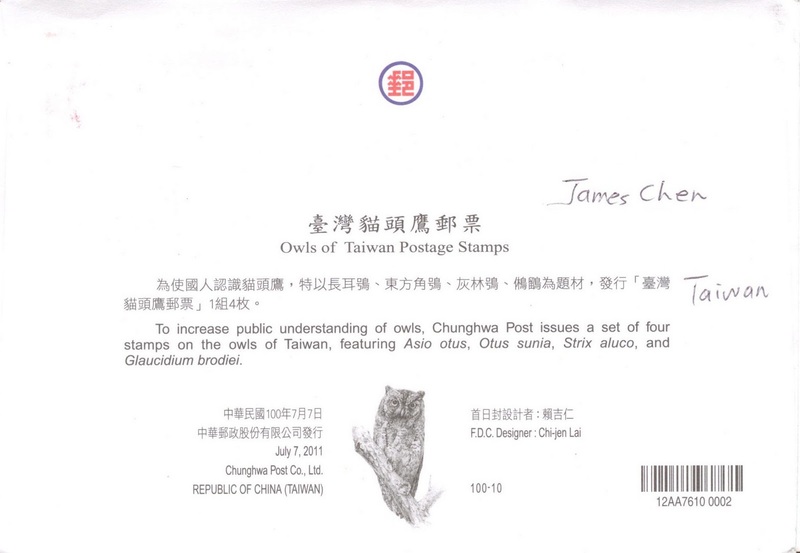 The last stamp (NT$25) depicts the Collared Owlet (Glaucidium brodiei).